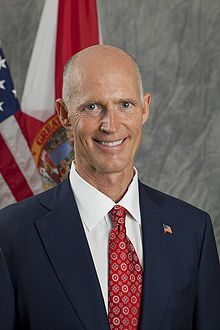 TALLAHASSEE, Florida -- Florida Governor Rick Scott announced today that Florida’s statewide unemployment rate in September was 6.1%, down 0.2 percentage point from last month and down 0.8 percentage point from the September 2013 rate of 6.9%. The Sunshine State created 12,800 private-sector jobs in September 2014. Since December 2010, Florida’s private-sector businesses have added 651,300 jobs. Florida’s annual job growth rate has exceeded the nation’s rate since April 2012. Since December 2010, Florida’s unemployment rate has dropped 5.0 percentage points, from 11.1% down now to 6.1% in September 2014. Florida’s unemployment rate has declined or held steady over the month for 46 of the last 49 months. jobs, +1.1 percent); other services (+4,700 jobs, +1.5 percent); and information (+1,200 jobs, +0.9 percent). These industry job gains were partially due to increases in food and beverage stores; specialty trade contractors; employment services; food services and drinking places; ambulatory health care services; fabricated metal product manufacturing; insurance carriers and related activities; membership associations and organizations; and telecommunications. Government (‐200 jobs, less than ‐0.1 percent) was the only industry to lose jobs over the year. This loss was due to local government. Brevard County's unemployment rate fell to 6.4% in September 2014, down from 7.7% a year ago. The Space Coast unemployment rate continues to remain higher than that of the Florida statewide rate. Out of a labor force of 267,641, there were 17,197 unemployed residents in the county. Total nonagricultural employment increased by 1,400 jobs over the year in the Palm Bay-Melbourne-Titusville metro area. Job gains on the Space Coast over the last year were led by education and health services (+1,000 jobs); other services (+700 jobs); leisure and hospitality (+600 jobs); mining, logging, and construction (+500 jobs); and government (+100 jobs). The industries that lost jobs over the year were professional and business services (-1,100 jobs), manufacturing (-300 jobs), and financial activities (-100 jobs). Trade, transportation, and utilities and information remained unchanged over the year.